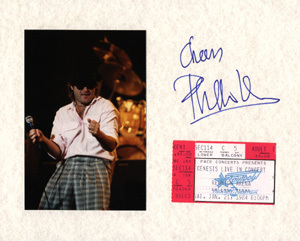 All Genesis & Phil Collins items listed below are authentic and very limited. We do not carry multiple items. All prices and availability are subject to change. 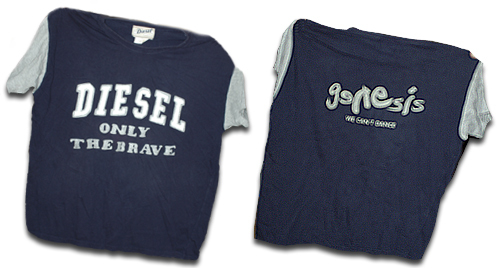 All prices include shipping and handling for all USA customers. All other destinations will require actual shipping cost to complete transaction. Have a question? Ask us before purchasing the item. Thank You. Description: 8x10 white matt with 4x6 1987 photo and ticket stub from the same show signed by Phil Collins in blue sharpie pen. 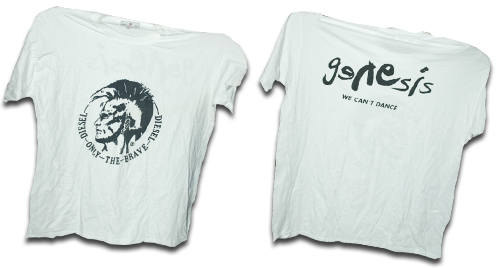 Item signed on Genesis' 1992 US tour at the Mandelay Hotel in Irving Texas. Description: Thru' These Walls 45 picture disc signed by Phil Collins in gold paint pen. Item signed on Genesis 1987 US tour at the Mandelay Hotel in Irving Texas. Description: Phil Collins 8x10 BW Promo Photo. Signed by Phil Collins in black sharpie pen. 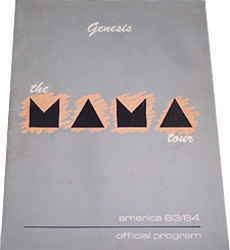 Description: Genesis 1984 Mama Tour Book. Item in VG+ condition. 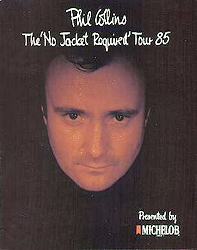 Description: Phil Collins 1985 No Jacket Required Tour Book. Item in VG+ condition. 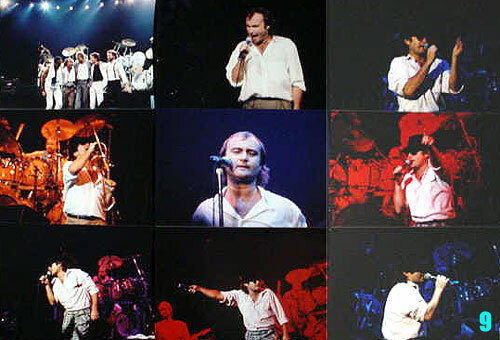 Description: 20 Original Genesis photos taken on their 1987 Invisible Touch Tour at Reunion Arena in Dallas,Texas. Complete 4x6 photo set $39.99 Total Cost. Shipping Included. 3 photos not shown. Description: Genesis 1992 Promo Poster. Size 24x24. Item in VG+ condition. 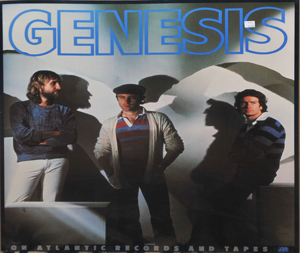 Description: Genesis 1977 Reproduction Concert Poster. Size 11x17. Item in mint condition. 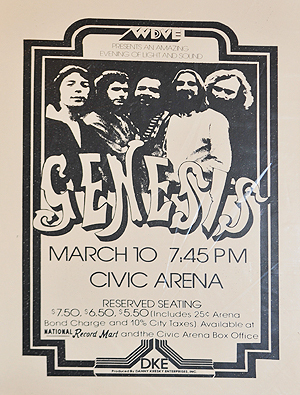 Description: Genesis Original Concert Poster. 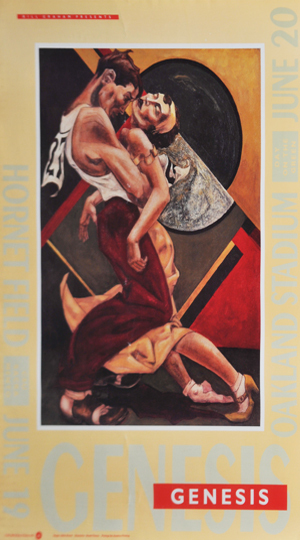 July 19 & 20, 1992 Hornet Field. Heavy stock paper. Size 14x20. Item in VG+ condition. 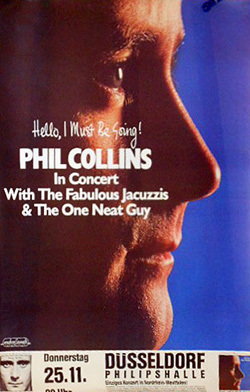 Description: Phil Collins 1982 Dusseldorf Germany Original Concert Poster. Size 24x35. Item in VG+ condition.